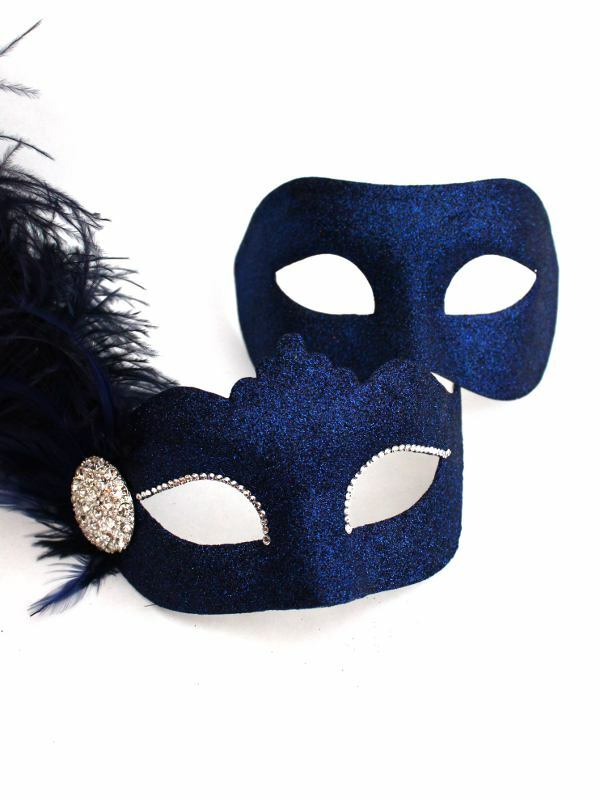 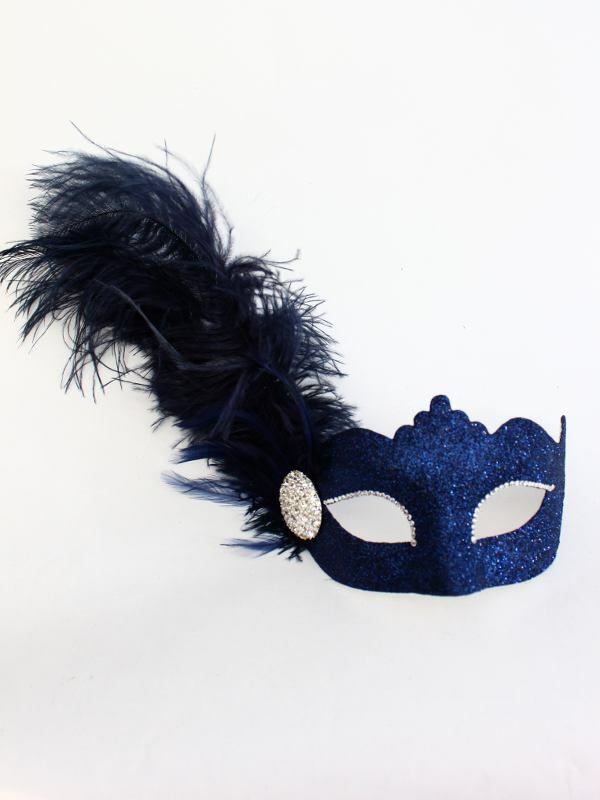 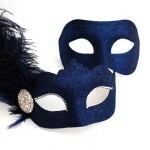 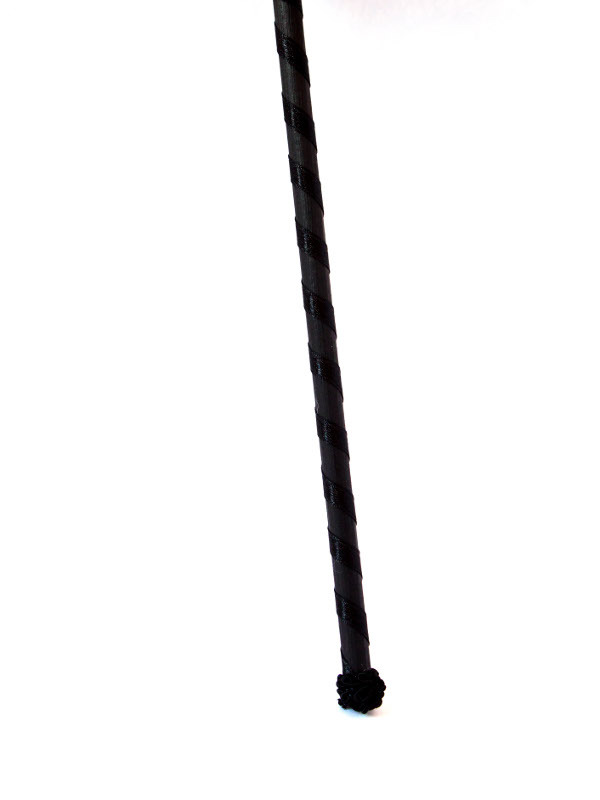 Women’s Mask – Navy blue mixed glitter (with royal blue tones) on a venetian mask base, decorated with navy blue ostrich feather (varies from the photo as they are all natural. 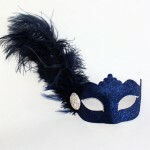 Some are floppier and curl over more), smaller blue feathers, large diamante piece and Swarovski Crystals around the eyes. 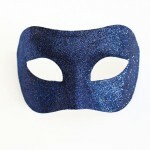 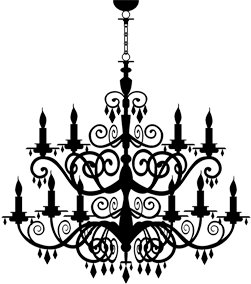 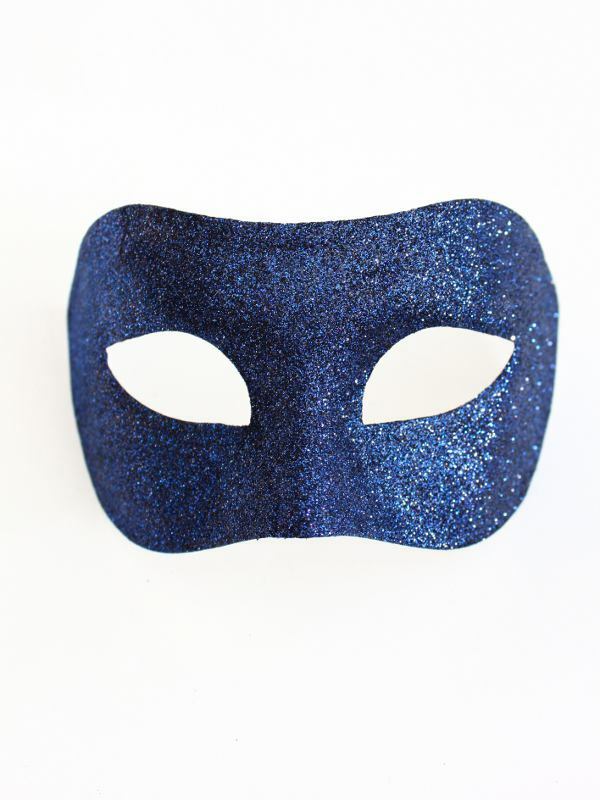 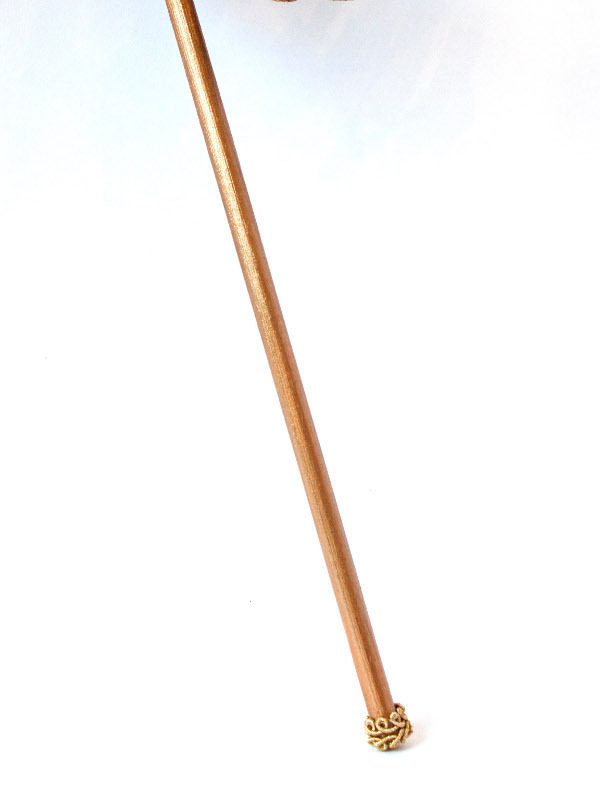 Men’s mask – genuine venetian mask base, decorated with the same blue glitter.